One of the staples in my "makeup diet" is a good eye makeup remover. I know some folks like to use their cleansing balm or oil as an all-in-one solution, but when I'm wearing massive amounts of waterproof eyeliner and mascara I feel like it really helps to get in there with a little something extra first. Same goes for really stubborn lip tints. Triple cleanse power! Today I'll be reviewing a remover I started using a couple of months ago: Tosowoong Makeon Professional Nothing Is Impossible Makeup Liquid Lip & Eye Makeup Remover. But first I need to take a nap after writing out that name. Zzzzzz. I ran the list through CosDNA and it flagged a couple of potential ingredients, namely Alcohol Denat (no surprise there), and minor warnings for Simmondsia Chinensis (jojoba) Seed Oil and Hexylene Glycol. It also flagged those lesser irritants, Persea gratissima (avocado) oil and the color as possible acne triggers. These minor red flags weren't scary enough to keep me from trying the product, but it's something to keep in mind if you have very sensitive or acne-prone skin. You can check out the full analysis here. So, how to test the efficacy of a new makeup remover? Obviously one way is to put it on your face and attempt to remove makeup, but I also wanted to see how it did in direct comparison with a another makeup remover that I already know works well—enter the comparison test with Neutrogena Oil-Free Eye Makeup Remover! These makeup removers have different ingredients, but both of them are dual-phase (meaning that they have a two distinct liquid layers that you're supposed to shake up and mix together before use). They're also in a similar price range: Based on what I paid, the Makeon remover costs about $1.97 per ounce and the Neutrogena remover costs about $1.70 per ounce. For the test, I generously applied two sets of eyeliner swatches to my arm and grabbed a bunch of identical cotton pads to wipe with to see which one came clean first. 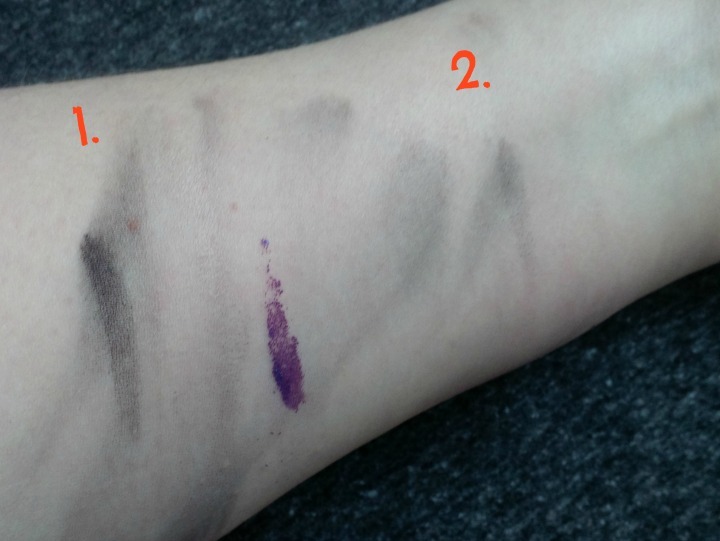 For reference, swatch set #1 will be tested against the Neutrogena remover and set #2 against the Makeon remover. 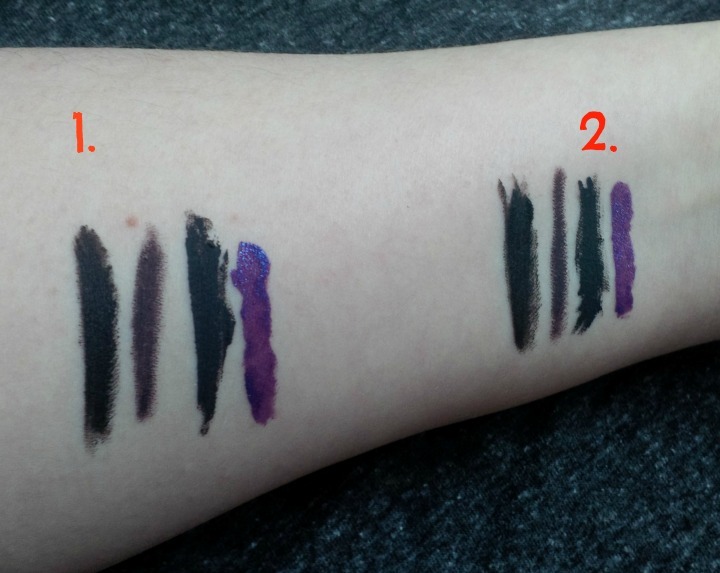 In case anyone is curious, the eyeliners used in the test are as follows (listed in order from left to right): TonyMoly Backstage gel eyeliner (waterproof gel), Sumita Color Contrast Eyeliner (waterproof pencil), Wet n Wild Megaliner (non-waterproof liquid), and Milani Ultrafine Liquid Eye Liner (waterproof liquid). Phase one: The swatches in their unwiped state. Phase two: After two swipes with a cotton pad + remover. 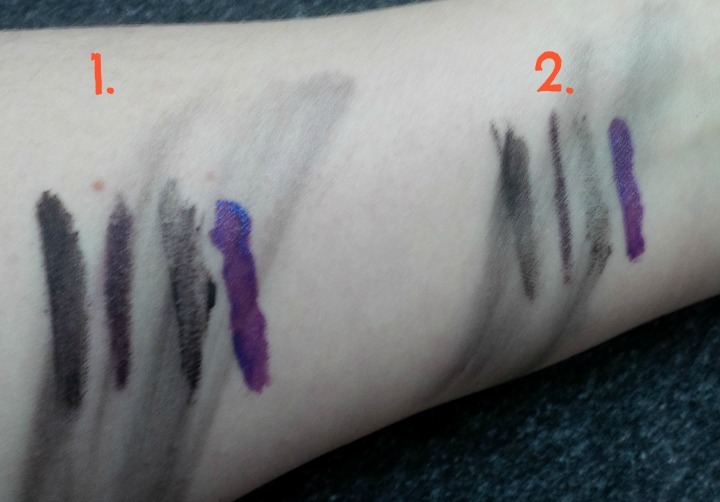 Both swatches are still a mess. More wiping needed! Phase three: After four swipes with a cotton pad + remover. It's becoming clear that swatch set #2 (Makeon) is coming off more quickly. Phase four: After six swipes with a cotton pad and remover. 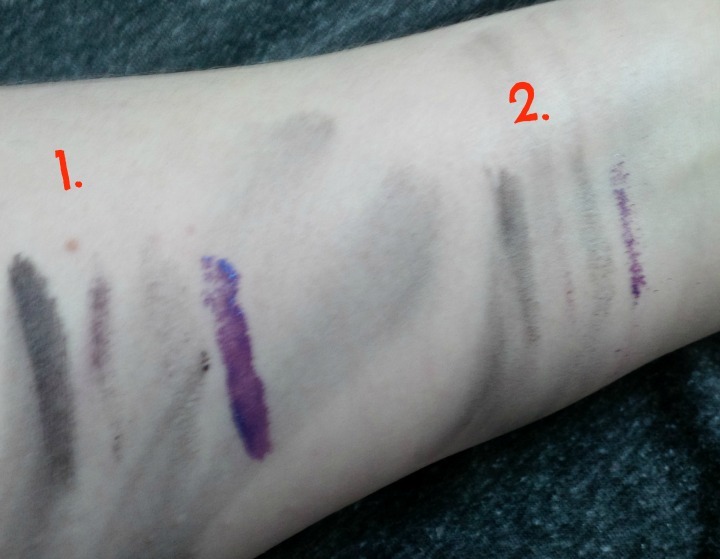 The swatches on the Makeon side are nearly gone,while there's still a good bit of visible residue on the Neutrogena side. I stopped taking photos here because the comparison part was pretty much over, but it only took a couple more swipes to get the Neutrogena side off. Conclusion: Both removers were effective, but the Makeon remover dissolved all of my horrendously stubborn eyeliners more quickly. But how did it perform on my actual eyes? I would say that I experienced similar results (both work, but Makeon is quicker). There is one major difference though: I get a vague "cloudy" feeling in my eyes after using the Makeon remover, which I'm assuming is due to the oil. This is temporary and not especially uncomfortable, but it doesn't happen to me with the Neutrogena remover, so in that sense I'd say that Neutrogena is superior. Neutrogena also leaves less residue on my skin (again, no oil), which could be a good thing or a bad thing depending on your skin type and preferences. Personally the residue isn't a huge factor for me since I do a full facial cleanse after using eye makeup remover. I didn't do a complete comparison test of these removers vs. stubborn lip tints, but based on my own makeup removal experiences I'd say the results are similar: Both work. Makeon is quicker. Whoooooosh! 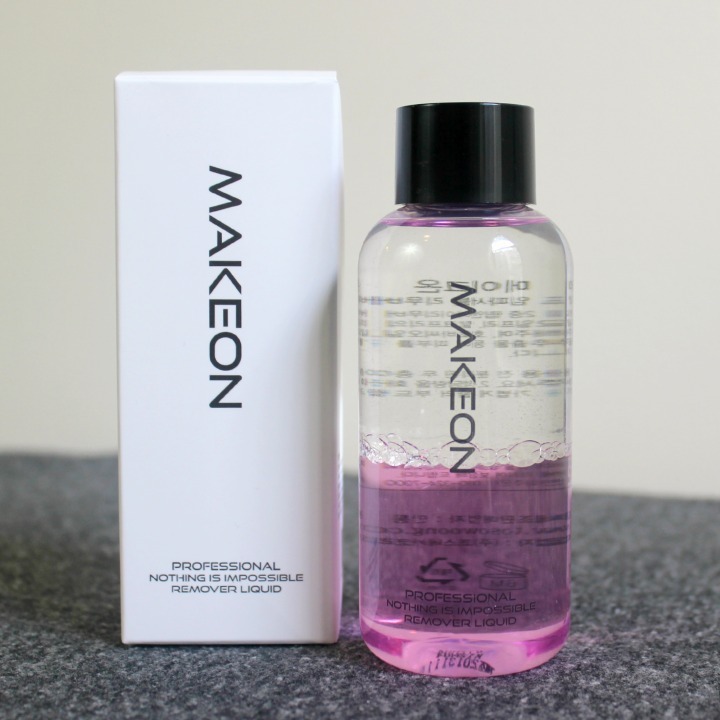 Tosowoong Makeon Professional Nothing Is Impossible Makeup Liquid Lip & Eye Makeup Remover (phew) is a highly effective makeup remover, and I totally recommend it. 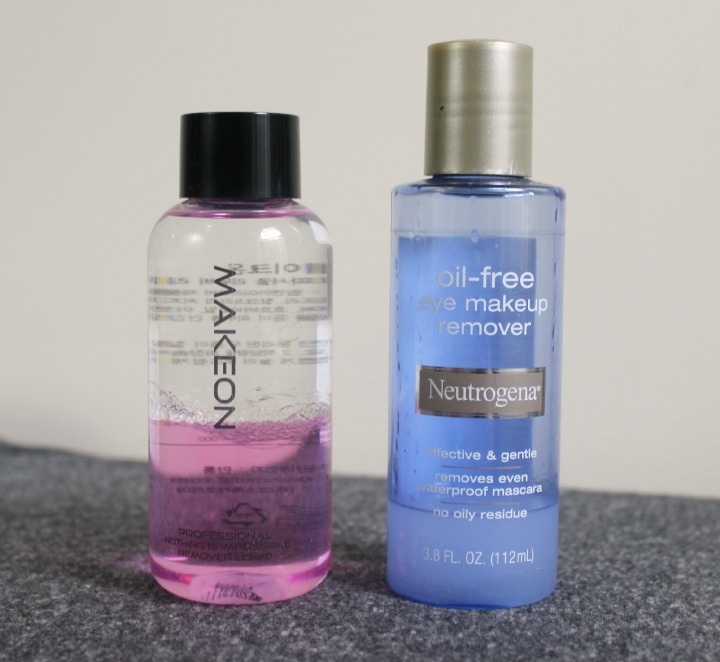 I will probably keep buying Neutrogena Oil-Free simply because it's easier to find locally and it sometimes goes on sale, but if I have REALLY stubborn makeup on then I'll probably reach for the Makeon remover first. This product didn't irritate my skin in any way, but YMMV if you're sensitive or acne-prone, of course. You can purchase a 120ml bottle of Tosowoong Makeon Professional Nothing Is Impossible Makeup Liquid Eye & Lip Makeup Remover (blahblahblah!!) on WishTrend.com for $10.99. New WishTrend customers can get a $5 voucher to use towards their first purchase of $30+ by entering my referral code in the "Friends Invitation Program" field when signing up: 252963208. What do you think of this makeup remover? Do you have a go-to remover for stubborn eye makeup? I love the compirison of the two products. I was surprised to see the Makeon Remover clean of easier. I used to use the Neutrogena makeup remover then switched to MAC wipes which I found easier and quicker. Now I'm using ELF wipes. They work good and all my makeup comes off easily. I like your side by side comparison. The Makeon remover did a great job. For really tough eye makeup, I like to use coconut oil. It gets everything and doesn't sting if I get it in my eyes. Me too! I was sure at first that the Neutrogena remover would work better, but nope! Oil really is the best at getting everything off. I don't like using straight oil on my eyes though, mainly because it sometimes leaves behind a "filmy" feeling. Not hazardous or anything, just mildly annoying. I've been meaning to try those ELF wipes for a while now. I don't usually use wipes as my main makeup remover, but if it works well enough I'd certainly switch!